Spend the holiest day of the Jewish year in the oldest Jewish community in the world. There is no place more appropriate and exciting than being in the Tomb of Machpela complex on Yom Kippur. Services will be held at the ancient resting place of the Biblical forefathers and mothers of the Abrahamic faith. In light of the increasing demand, upgraded facilities will be opened this year for those coming to pray on the graves of the forefathers and mothers. Deluxe-sized tents with beds and mattresses will be erected at the foot of the Cave of the Patriarchs for guests. The participants will be served a meal and refreshments to break the fast. 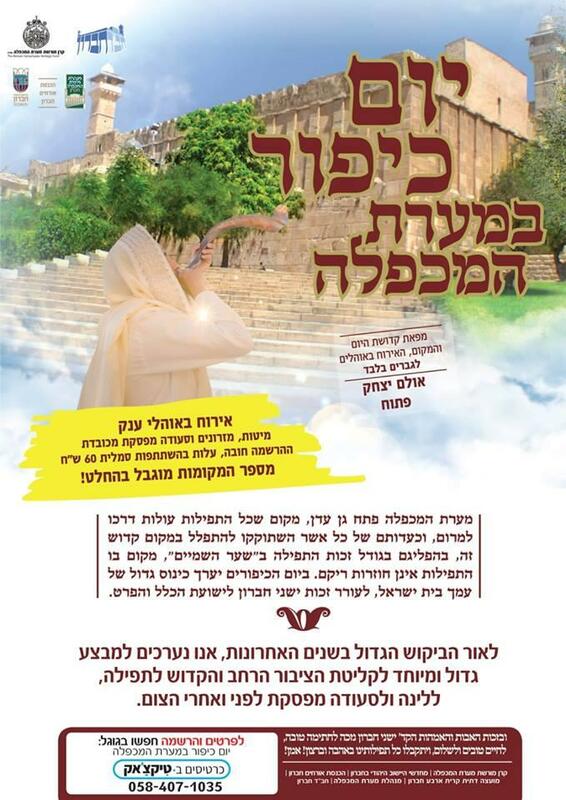 On the Day of Atonement, the hall of Isaac in the Cave of Machpela complex will be reserved for Jewish prayer services. Accommodation and meals are accepted through pre-registration in the attached link, with a symbolic contribution of only 60 NIS. The number of places is very limited.